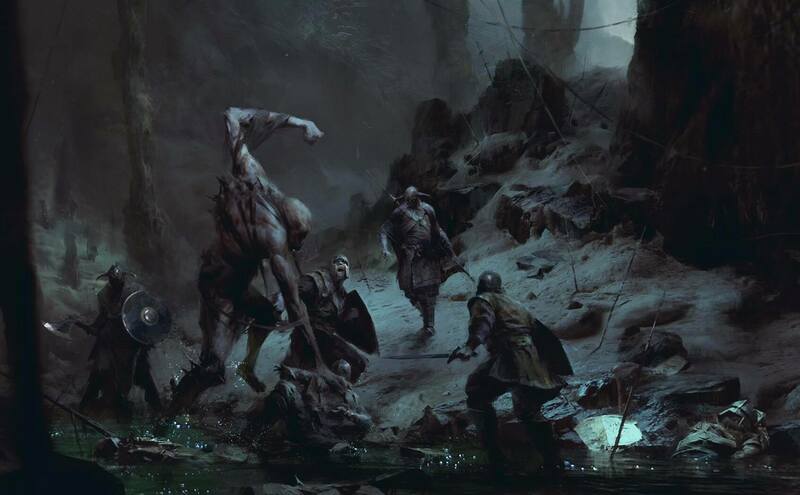 Project Wight is the first game by The Outsiders, a new indie studio formed by ex-DICE and Overkill developers. The game takes place in the “early Vikings era,” but depicts a world slightly different than our own. In Project Wight’s world, humans share the land with a humanoid species that walks on all fours. The twist here is that we will play as one of these creatures. In the video demo above we can hear studio head David Goldfarb explain a little bit more about these creatures, and how humanity has hunted them to the verge of extinction. Right from the start, we see how Vikings capture and kill the father of the creature we will be playing. As our protagonist is still young at this stage, all it can do is hide, scurry and leap to avoid its pursuers. Later, we get a chance to see what an adult creature can do, which is apparently glide through the air and descend on a group of unsuspecting Vikings like a ton of bricks with sharp claws and fangs. Playing as the hunted is not a new concept for horror video games. We’re used to playing the lone human survivor among a terrifying army of nightmares. However, this time we’ll be seeing the world through the eyes of these nightmares, and the humans are the scary monsters out to get us. It’s an interesting idea, and I can’t wait to see more of Project Wight.